"Lucky we live Hawaii" is a phrase that could be perceived as snobby… and yet, somehow, we're OK with that, because it's also absolutely, completely true. Who wouldn’t love living here? We can boast almost year-round gorgeous weather, which is absolutely perfect for enjoying our beautiful beaches and amazing hikes, in addition to a plethora of multi-ethnic cuisines and diverse cultural events that are difficult to find elsewhere. We really are lucky we live Hawaii. "Wow, everything is SO expensive! How can you afford to live here?" Yes, it costs a pretty penny to live in Honolulu. Due to the fact that practically everything gets shipped over here, most items tend to be more expensive than what you can buy on the mainland (and unfortunately, we don’t have Trader Joe’s or an IKEA). And with our rent being the fourth-highest in the US, a lot of families live in multigenerational households. So thanks for reminding us that we're paying vacation prices year-round... we choose to live here in spite of all that both because we want to be close to family and friends, and you know, to live in paradise. 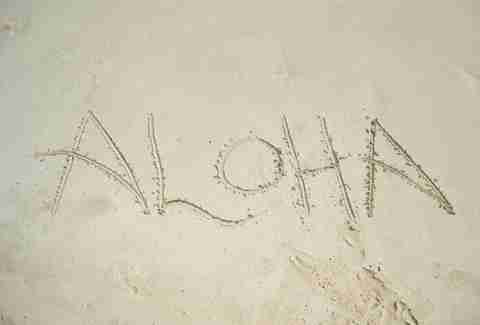 "Aloha… mahalo… aloha… mahalo… aloha… mahalo… "
Thank you for taking an interest in the Hawaiian culture, but please note that for the most part, we do not use Hawaiian words in everyday conversation. So please don’t say them every time you talk… even we don’t even say them every time we talk. Although it may feel to you like you are being culturally authentic, it just ends up sounding like you’re from out of town. "Do you have a kama'aina discount?" 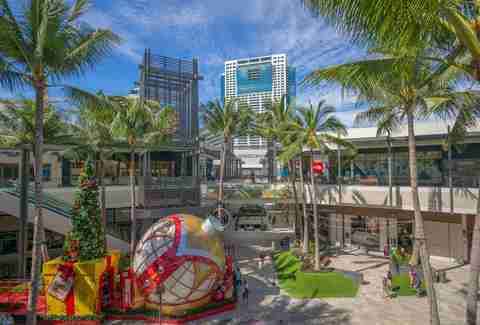 If you are not a resident of Honolulu, don’t ask for the local discount. It’s just not cool. But if you don’t care about the stares you’ll get and want to try anyways, make sure that you pronounce it correctly; otherwise we'll see right through you. "Don't you know how to surf?" Although everyone that lives on an island should probably know how to swim for safety reasons, this just isn't always the case. Personally, I know a handful of people who can barely swim, let alone stand on a surfboard while riding a wave. 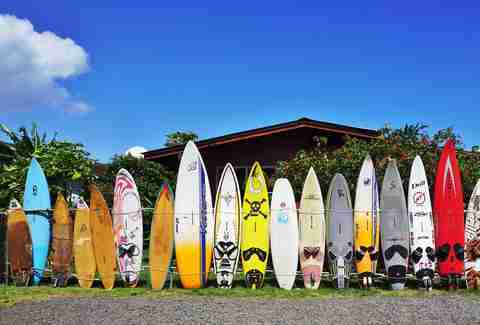 So no, not everyone here knows how to surf. It's not the law or anything. "Traffic isn't so bad here; it's much worse back home." OK, maybe you have to drive farther where you live, but the amount of time it takes to go 10 miles here during rush hour is simply ridiculous. We’re always ranked in the top 10 cities in the US, and have the worst traffic. Not to mention that the highest speed limit tops out at just 60mph. Just don't. "Isn't everyone who lives in Honolulu Hawaiian?" Hawaiian is an ethnicity, similar to being Japanese, German, etc. Don’t confuse residency with ethnicity! Why are there a pile of flip-flops outside your house? 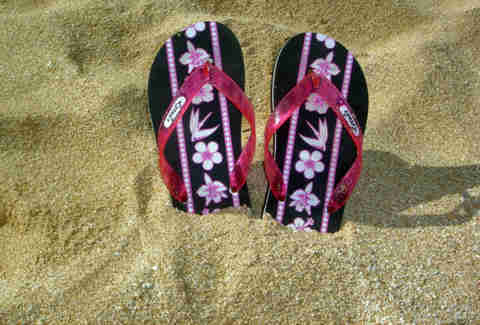 First of all, they're "slippers," not "flip-flops." Secondly, if you walk around outside all day with your slippers on, why would you bring all of that inside your house? Here it is just disrespectful to wear your footwear in the house, so just follow everyone else’s lead and leave your slippers at the door. "I just went to the best restaurant in Waikiki… "
Don’t get me wrong, there are good restaurants in Waikiki. But for the most part they are overpriced, and you can find a whole slew of great options outside of the most touristy part of the island. 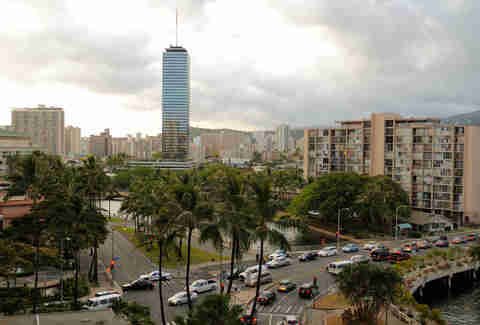 Just an insider's hint -- most residents avoid Waikiki at all costs. Since you are visiting the state with the largest consumption of SPAM per capita, you might as well try it if you never have before, because we know how to cook it right! 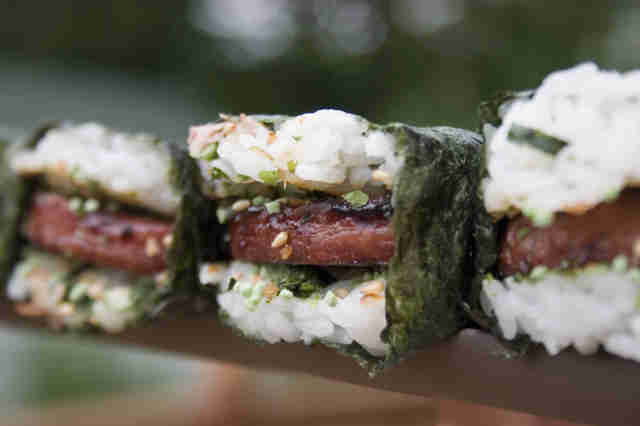 Grab a SPAM musubi on your way to the beach... I promise you won’t regret it. It’s the perfect handheld snack -- salty, carb-heavy, delish! Amanda Zen is a freelance writer for Thrillist, who hopes you all come visit Honolulu and also heeds her advice.